MTV and DJ/producer Steve Angello have teamed up to launch a social media campaign in support of MTV’s newest docu-series “Catfish: The TV Show,” which recently premiered on MTV. The series follows the plot of the critically acclaimed 2010 documentary-thriller “Catfish,” which tackles the mysteries and complexities of keeping up relationships in a digital world. 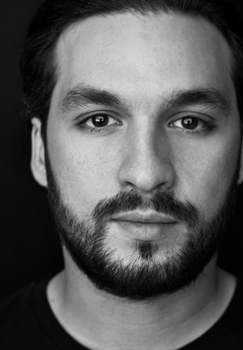 Steve Angello has teamed up with MTV in a campaign supporting the hit show, as he takes on the “catfish” role by hiding behind one of the millions of profiles on Facebook for a week. Fans all over the world are encouraged to visit www.catchsteveangello.com, where they will have the opportunity to answer questions about Steve Angello and “Catfish: The TV Show” to unlock exclusive clues, and help narrow their search to find Steve’s “catfish” profile. Fans will also be able to use Facebook’s “Graph Search,” one of the site’s newest features, making this the very first MTV campaign to use the function. The fan that finds Steve will win the chance to meet him in person at an event in Miami. Steve Angello explains CatchSteveAngello.com from MTV on Vimeo. Go to www.catchsteveangello.com for more information.